English Past Papers Solved 1st Year All Punjab Boards. Chapter wise solution of 9 boards session 2011-2018. 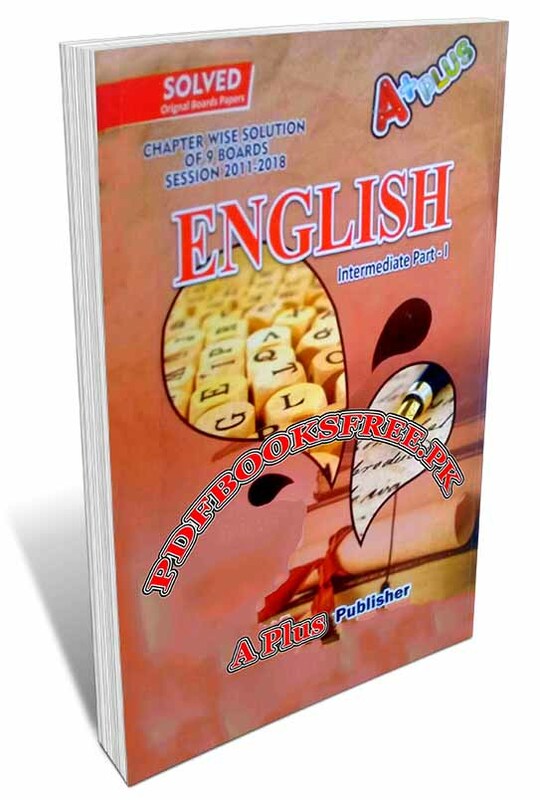 This book contains original boards papers of English subject Intermediate Part 1 of Sahiwal Board, Multan Board, Bahawalpur Board, D.G Khan board, Faisalabad Board, Gujranwala Board, Lahore Board, Rawalpindi Board and Sargodha Board. Correct answers of MCQs Objective and Subjective. This past papers guide of Punjab Boards is prepared for the students of 1st Year F. A, F.Sc to easily prepared their notes and have successfully passed English subject paper and get high marks from all boar boards of intermediate and secondary education Punjab. Solved English Past Papers for F.A, F.Sc part 1 all Punjab Boards is now available on Pakistan virtual library in high quality Pdf document for the study of our visitors Check out the following links to read online or download the complete book in Pdf format and enjoy offline reading in your computer and smartphone.